Write all your favorite quotes, goals, dreams, thoughts and notes in the customized “Jen DeLeon” notebook. Each notebook is personalized with handwritten advice on whatever you need. 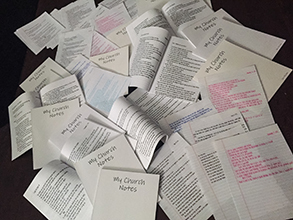 I write down EVERYTHING from notes, goals, ideas, prayers, etc. 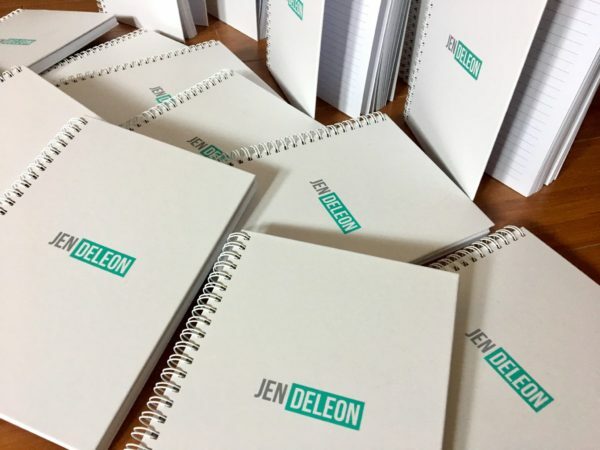 so I can keep myself accountable for what I have and have not accomplished – I want my Jen DeLeon notebooks to inspire you to do the same. Each 5×8 hardcover spiral notebook is personalized with handwritten advice on whatever you need.